They're the most sensational new band to brighten the music world on both sides of the Atlantic, thanks to their chart-busting debut album,Up All Night, followed by their amazing reception in America. They're One Direction, the remarkable British-Irish group whose legendary rise to fame is now being told inThe One Direction Story. Band members Harry Styles, Louis Tomlinson, Zayn Malik, Niall Horan, and Liam Payne each have their lives chronicled in separate chapters--their family backgrounds, their early ventures into singing and acting, and the fateful occasion that brought them together on the major British TV show, X Factor. 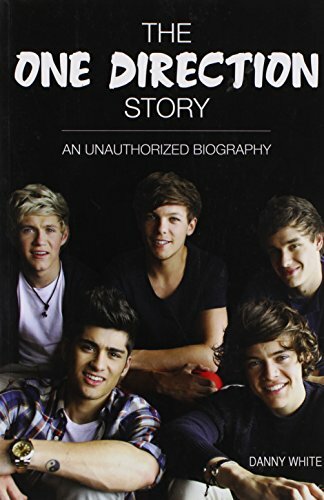 Chapters that follow document One Direction's new-found fame, the group's backstage escapades, their onstage performances--and their fabulous sell-out tours in Britain and America.The One Direction Story is a book that their millions of young fans will soon be reading and talking about. One Direction's albums have become immediate bestsellers, and their thrilling story is certain to enjoy similar success. Here it is--the biography of the hottest property on the international music scene! Bonus Feature--16 pages of marvelous color photos!